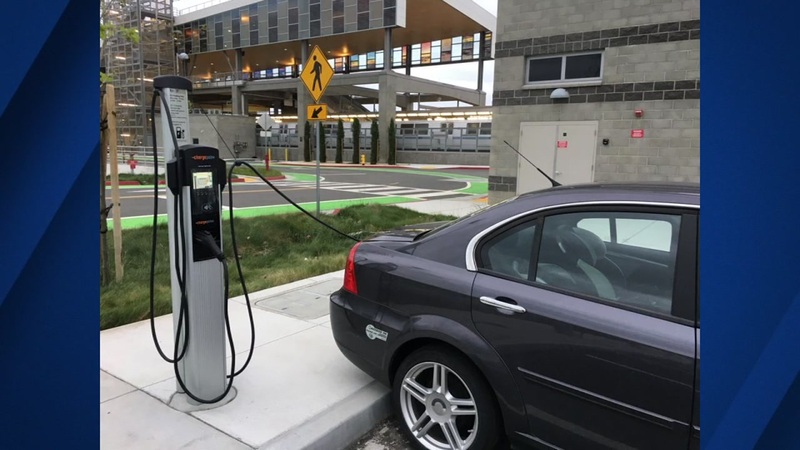 FREMONT, Calif. (KGO) -- Today BART unveiled what it calls one of the largest electric vehicle charging stations in the Bay Area. It's at the new Warm Springs station in Fremont. As many as 42 electric vehicles can be charged there. These are the only EV charging stations in the entire BART system and are now available to the public.